We have teamed up with CM on this exclusive offer, bringing Sound Connections members a chance to win free day in the CM music studios with an expert tutor. If you are a musician or an ambitious music producer this is a great opportunity to learn how to produce or improve your production. 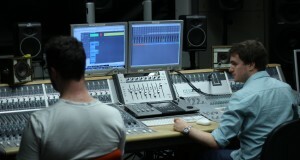 CM caters for all levels of music production and offers something for everyone. This is an exclusive offer to Sound Connections members. You must enter to win by 12th April 2014. Simply email rich@cmsounds.com with the title heading ‘Sound Connections Competition’ and explain why you should win! You must be available on Friday 25th April and able to travel to London at your own expense.